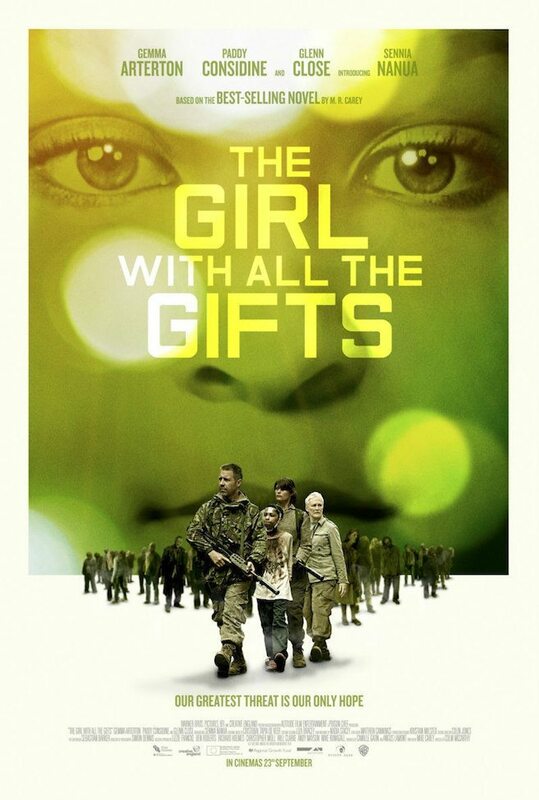 Check Out The Trailer For ‘The Girl With All The Gifts’!!! Director Colm McCarthy (‘Peaky Blinders‘, ‘Krypton‘) directed a cast that includes Glenn Close, Gemma Arterton and Paddy Considine in ‘The Girl With All The Gifts‘. Author Mike Carey adapted his own novel and penned the screenplay for the zombie-flick set in rural England. Humanity is mostly wiped out by a mutated fungal disease that destroys free will and creates flesh-eating “hungries”, zombies, whatever. The only survivors are a small group of kids that show an immunity to its hideous effects but have been infected with the zombie virus. The kids are being studied and subjected to terrible experiments by a biologist since they are able to think and feel making them the only hope for a cure. There is one girl who stands above and beyond the other kids in various ways. When their base falls, she escapes with her favorite teacher, and two other adults making her the last hope for survival. This entry was posted on Wednesday, July 27th, 2016 at 12:23 pm	and is filed under Books, Film, News. You can follow any responses to this entry through the RSS 2.0 feed. You can skip to the end and leave a response. Pinging is currently not allowed. « Film Review: ‘Jason Bourne’!